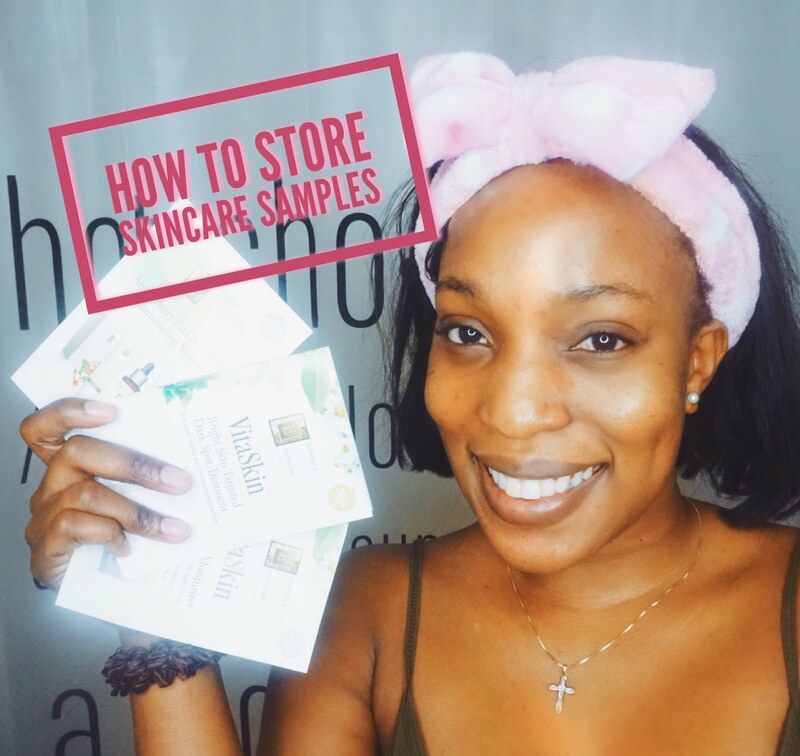 I get a lot of skincare samples from different stores or online orders. Sometimes the brands are generous and put a 3-5 time use of sample into their sample sachets. But the unfortunate thing is the samples have no zip locks or a way of closing it, so I had to come up with a smart way of sealing the products tight so air doesn't go in it and mess with the ingredients. Watch this short video to see how I store my opened and left over skincare samples so I can get more out of it.